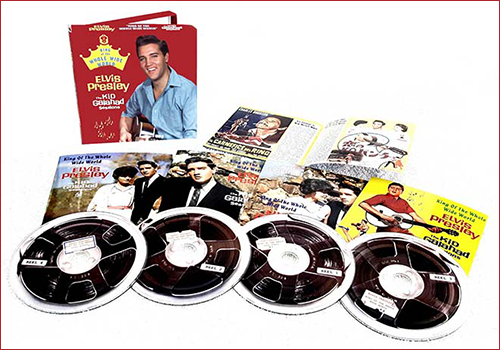 A sublime 4 cd boxset with the most complete KID GALAHAD recording sessions ever presented, incl. many tracks unreleased by Elvis' official record company. This stunning box also includes the complete film versions and original mono masters as well as the stereo masters! The mono sessions are presented in the best audio quality till now. Far superior to recent previous releases. Included is a neat 12 page booklet! If you are into Elvis’ movie years this is a must have. Don´t get me wrong. I prefer the FTD if there ever will be a complete session like VLV. I shy away from bootlegs. I'll hope for an FTD release. We´ll get the sessions here on import and maybe as a FTD also. Bravo.